Rabbi Yitz Wyne is the founder and spiritual leader of Young Israel Aish of Las Vegas. Rabbi Wyne’s sense of purpose and fulfillment in life is inextricably connected to the sharing of the timeless Torah knowledge, values and spiritual beauty with the entire Las Vegas community. Memories shape who we are and the decisions we make in the future. What are some of the memories that shape you, and what is your favorite Passover memory? Is VP Mike Pence correct for not meeting alone with a woman other than his wife? Do these kind of restrictions elevate or denigrate women? How do you respond when you encounter anti-semitism / anti-Israel sentiments? The mitzvah to remember what Amalek did and to wipe him out is as relevant today as ever. What inspires you to be religious? Pew survey concludes the people who are religiously active are happier healthier and more involved in the broader community. Does that inspire anyone to be more observant? G-d doesn’t forgive participants of ISIS. Should we?….When is a “mistake” too big to be forgiven? Do people really change, and should we hold people accountable for “sins” they did when they were young? How much of your estate should you leave to your children? What kind of Legacy do you want to leave behind after you die and how are you planning on doing it? It used to be that the “American Dream” was for a person to own their home and be financially stable. According to Pew Research, that has changed. What is the “Jewish Dream” and how does it differ from the new American Dream? Do you feel calm and happy that G-d will ensure that all of your needs will be taken care of? By looking at the partial U.S. Government shut down, explore how to increase your confidence and reliance on the Almighty. What are the essential elements for a group of slaves to develop into a great nation? 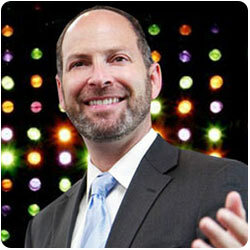 Rabbi Wyne takes you through the story, and shares lessons from our national development that touch our personal lives. Is building a wall on the Southern U.S. border immoral? Who and how can one determine that? Topic: What don’t you like about religion or religious people? A recent PEW Study shows that 42% of US Jews have reject their religion. Why is this and what can be done about it? What are appropriate boundaries between the sexes? Is there a problem with hugging, shaking hands or praying together? If you don’t like something in your religion: do you change or do you change the religion?…. This past week the Pope Francis changed the Catholic religion by deeming, “Capital punishment inadmissible under all circumstances” … explore the negative effects of this for the world even if you are not a Catholic. Why are you (or aren’t you) a member of a synagogue? Synagogue membership is declining, what do you think the reasons for that are? Friends are indispensable when it comes to living a happy life. Why is it that people don’t spend more time cultivating the relationships? Tisha B’Av; Why is there suffering in the world and how are we to deal with it? One of the most productive attitudes a person can have is to take responsibility for the difficulties in their life. Learn how and why did this attitude saved the Jewish People. 7/15/18 Why is it that prayer sometimes seems to be effective and sometimes it doesn’t? What can we do about it? 6/24/18 Does the immigration crisis make you a better and more G-dly person? 6/17/18 The Rabbi Show topic: What qualities are important to be a good father? Why is it that God is almost always depicted in the masculine?… The reasons for this illustrate some of the most important qualities necessary to be a good father. 6/10/18 Suicide rates are up 25% – what does Judaism say and what could be done about it? 5/13/18 Why it is important that the US Embassy is moved to Jerusalem? 4/22/18 What values do you represent? 4/8/18 When do you you speak your mind and speak up? 3/11/18 Want to Date your wife for life? Do this…. 2/18/18 Part 1: Is there life after this life? 2/18/18 Part 2: How do you get into Heaven? 2/5/18 Does G-d care who wins the Super Bowl? Part 1: Is the United States declaration that Jerusalem is the capital of Israel, good for the world or bad for the world? Part 2: Why is loyalty so important? Part 1: How do you develop and keep your feeling of being grateful? Part 2: How do you develop and keep your feeling of being grateful? Part 1: How often do you think about G-d? Part 2: What is wrong with paganism? Pt 1- Politicians, Athletes and Celebrities… what can we expect? Pt 2 – should public figures be our role models?